To begin with, Creepy Crawly Crochet is a good resource on its own, because it includes clear illustrations and step by step instructions for various stitches and techniques, including the adjustable/magic ring which forms the first part of a lot of amigurumi. It has info on finishing off your toys, too, including stitches to join things, how to make fringes, etc. Throughout the book, the patterns come with plenty of guidance on how to assemble them, and where special care might be needed. There’s a list of abbreviations in the back, too, along with a conversion chart from US sizes to UK sizes. The designs themselves are also pretty neat; the faces are shaped really well, for example, and it makes great use of stitching to create body shapes and designs, in a more subtle way than I’ve seen in a lot of other designs. It’s little touches that make the designs look great by giving them just that little bit extra realism… right down to the bits of zombie brain. I think it’s a fun collection and worth getting, especially for a beginner, because it covers a lot of the basics as well as some pretty easy designs. 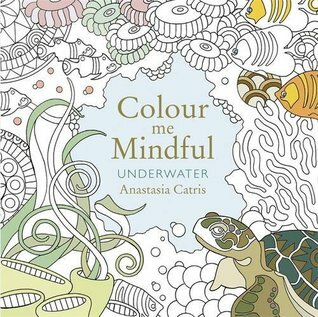 An okay book of around thirty mandalas to colour, printed on one side of the page only. The paper seems good enough quality — my markers aren’t bleeding through onto the next design, though they do bleed through the page a little — and there’s a nice range of fiddly bits and larger areas to colour, with some extremely detailed mandalas among the more simple ones. It’s not bad for the price, which was only a couple of pounds. 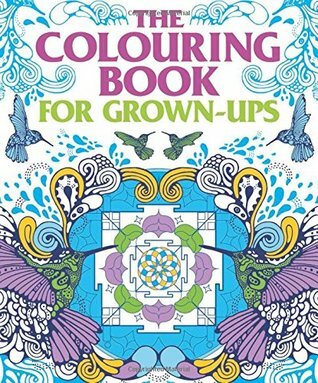 My only issue is that I immediately recognised the fifth to last mandala from another colouring book, the Creative Colouring for Grown-Ups book of mandalas. 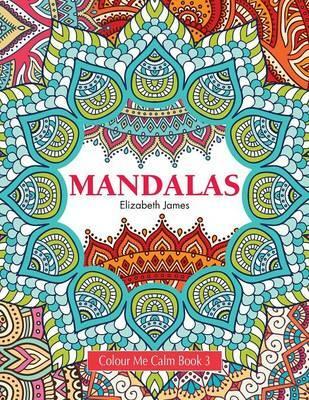 On a bit of checking up, it’s possible they both got the image from Shuttershock innocently, since both credit Shutterstock at the front, but it does make me wonder a little about where exactly the mandalas were gathered from and if due credit was given… in either of the two books, since both came out in 2015. 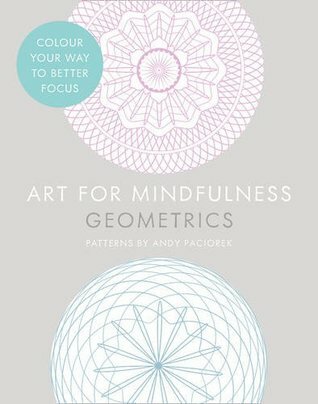 So, a lesson, I guess — if you design mandalas, check yours hasn’t made it into one of these books. I gather that my sister demanded I be bought this, so I could make her the admittedly adorable monkey on the front. The cat, donkey and monkey patterns are all cute and well done, particularly — the same basic model basically lies behind all of these, and none looks difficult. If you have the basics of crochet and sewing projects together down, you should be fine to make just about anything in here. It has the usual sort of introduction showing how to do basic stitches and explaining abbreviations, etc, too. The patterns are all in text; no need to have any skill in learning how to read a pattern. I’m mostly surprised my mother hasn’t bought me the third in the series, which has a really cute hedgehog on the cover, and a hippo pattern allegedly inside as well. 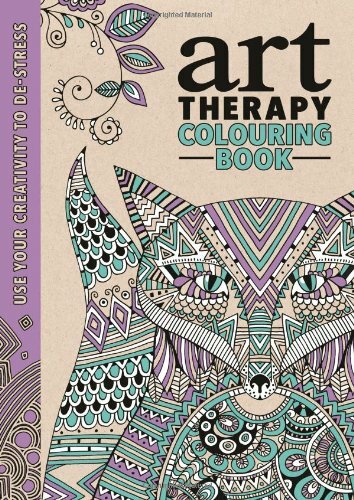 I’m not so sure about this craze for calling adult colouring books a tool for mindfulness. Whatever works for you, I guess, but I use it much more as a way to relax and just… have some fun. The delight is a childish one and I’m totally okay with that, for the same reason I’m totally okay with people reading or doing whatever appeals to them, regardless of age or gender or whatever. Modern life is pretty darn stressful for our monkey brains, and we need to remember to play. This one delights that kid in me because it’s full of fish that you can colour in improbable combinations of colour. And quite a few turtles, which are just adorable. The paper quality is good; I use felt-tips to colour in, and it doesn’t leak through at all, which is fortunate because there are designs on both sides of all the pages. I have had slight problems with pages curling up, though, when there’s a lot of colour and therefore obviously a lot of ink. I do suggest if you’re going to use felt-tips, markers or paint, you test on one of the blank pages to make sure there’ll be no leakage with your particular implement of choice. The designs pretty much all have some small fiddly bits, but not so much so that I found it frustrating. Also, Anastasia Catris apparently lives in Wales, so hurrah for that. 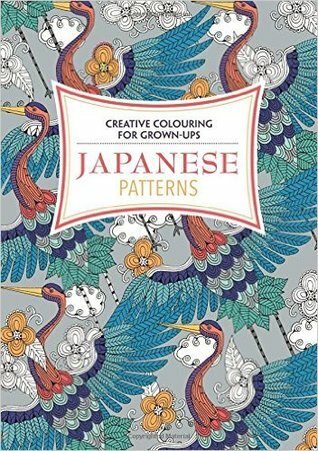 This book has high quality pages, so you can definitely use pens, and there are some lovely designs. They tend to be more finicky — lots of little sections to pen in, rather than big areas to colour — which may or may not suit you. The thing I think is most offputting about this book is that most of the pages are already partly coloured. I’m doing the fox from the front cover, for instance, and it comes with a coloured background and some sections of the head already coloured. Normally, I’m one of those creatures who prefers to colour in the lines and with the colours of nature, so I was a little hesitant about my rainbow fox. On the other hand, sometimes it’s nice to just colour something in differently, and see what it looks like as a complete picture — you might consider the already coloured parts of the pictures to be a sort of challenge to get really creative! The last third of the book is for ‘doodling’, though there’s some scope for colouring, too. I was less interested in this stuff, and don’t know if I’ll really make use of it. The whole point of colouring books, for me, is that my dubious drawing skills don’t come into it. Still, high quality book, and some of the multicolour designs come out looking surprisingly good, if you want to try something different. Yep, I’ve jumped onto this trend. Mostly for the mindfulness aspect, because I got a little book of mandalas to colour and found that it really did help with just staying in the moment and not worrying, because I’d be too busy concentrating on keeping inside the lines and deciding which colours to pick next. The designs in Geometrics are pretty good: obviously, they’re all geometric, and some of them are very complex. It’s not full of massive open spaces to colour, but detail instead. Sometimes I find that a little frustrating, in which case I switch to something else in the same book or in one of the others I have. I’m using markers with it, and while they bleed through to the other side of the same page, they don’t mark the next page. The quality of the paper is good, and fortunately, the only thing on the back of each design is an inspirational quotation — most of which I like, too; they’re not too syrupy. I think this one will last quite a long time. In the meantime, hey, it’s 20th August! That means it’s my birthday! 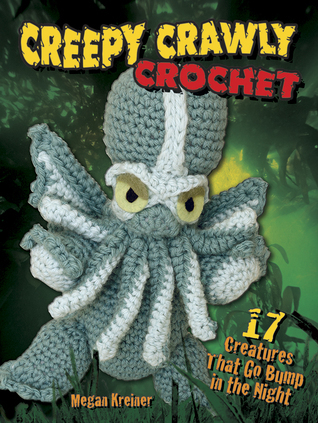 I read this on Scribd after browsing through the craft books (where’s the crochet hiding?!). 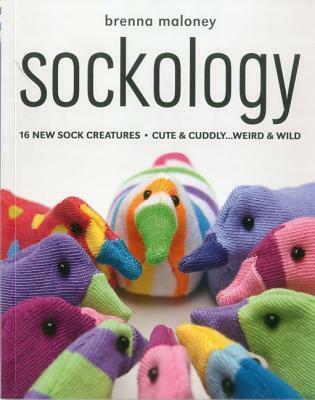 It’s a fun sort of book, with patterns and ideas about how to cut up and reuse socks to make various creatures. I didn’t always find the results attractive, but the patterns could be fairly easily altered. As soon as you figure out how to look at a sock for how you can cut it up and change it, instead of as a sock, you’ve got it.